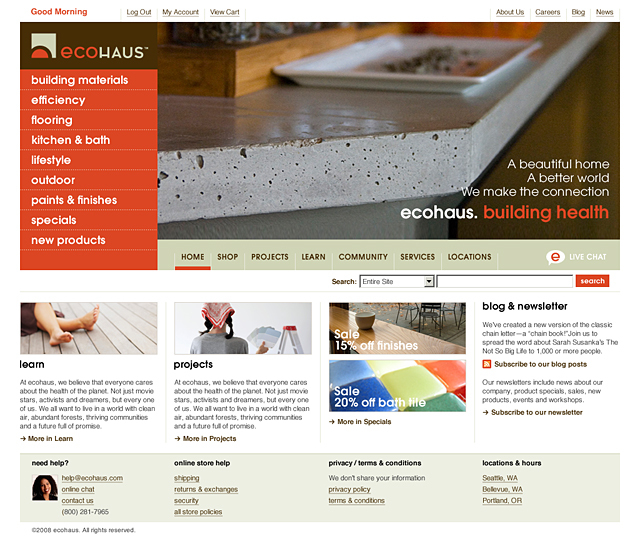 This rapidly expanding retail and wholesale distributor of ecologically sound building products needed a fresh look and a robust e-commerce back-end. 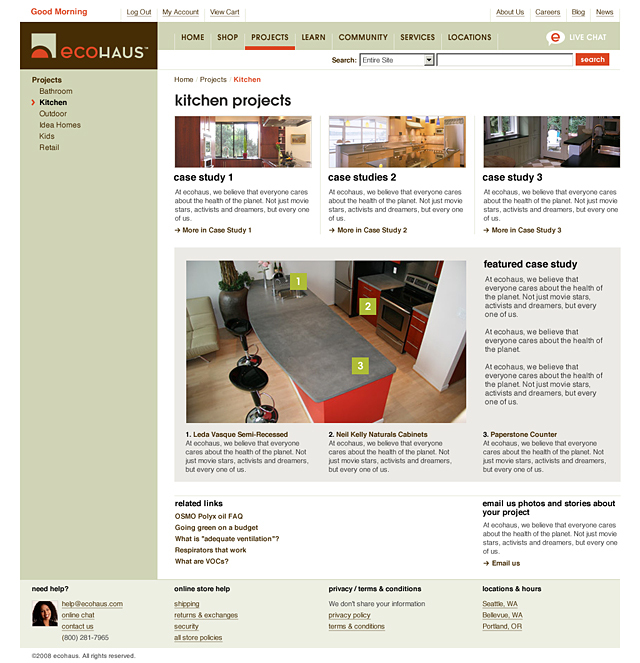 We did a full design refresh and user experience flows to optimize site usability. 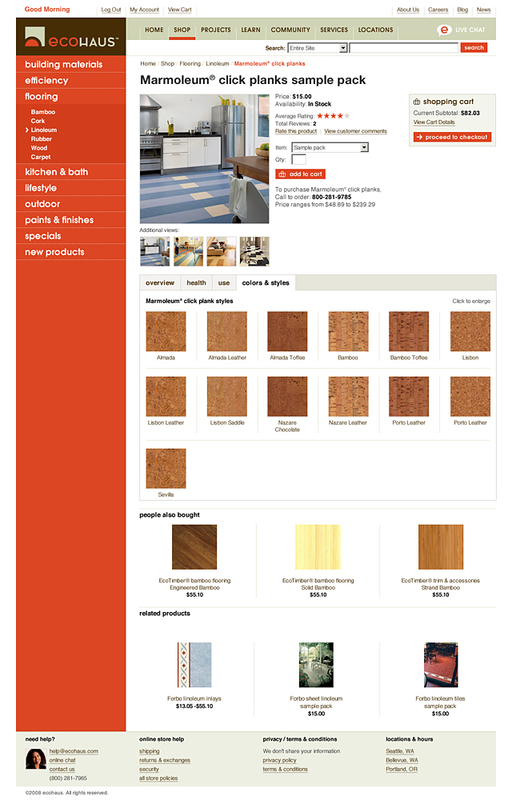 We then handed off designs to a back-end development firm to hook up to the e-commerce engine. 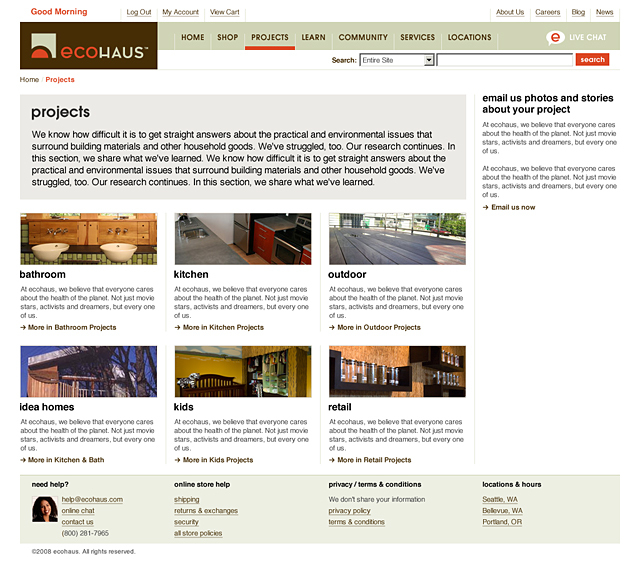 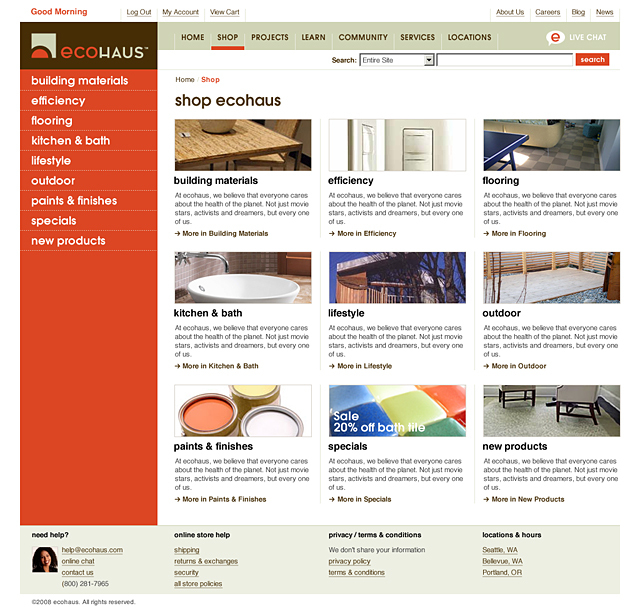 Ecohaus now has a robust and user-friendly e-commerce site that is clean and contemporary in look and feel.